Antique Dragon Design Chinese Art Deco Rug, Country of Origin: China, Circa Date: Early 20th Century — This bold Chinese rug begins with a border comprised of cream against a vivid blue background. 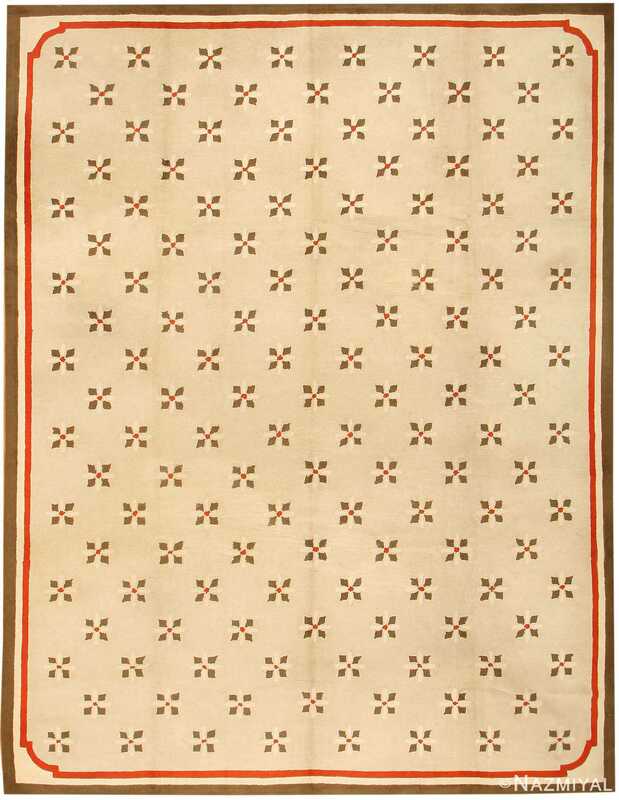 Floral accents against small gold fields provide a gentle contrast along the length of the frame. 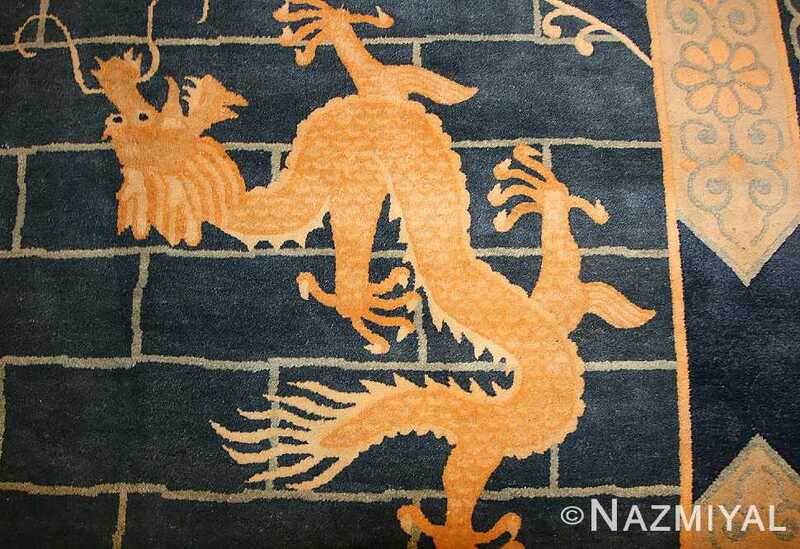 The stunning golden fluidity of the dragons offsets the austere brick-like background. 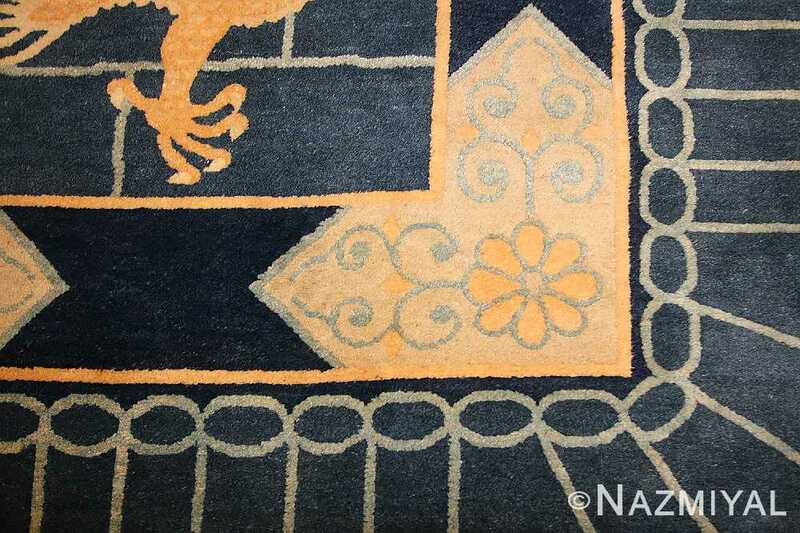 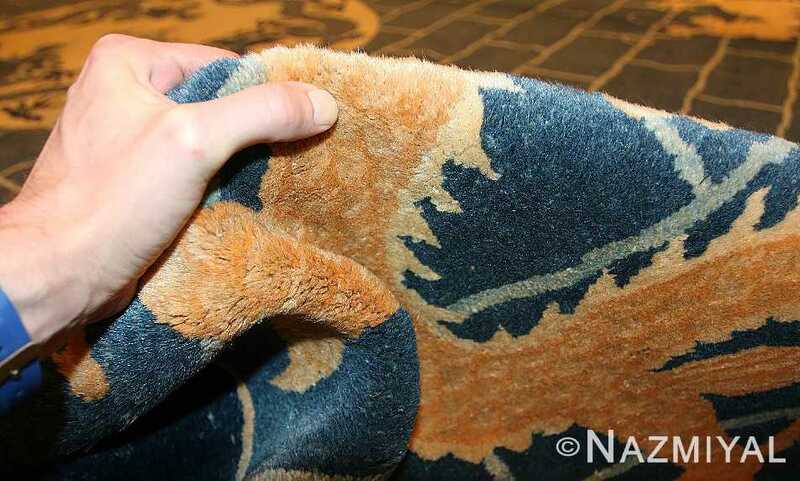 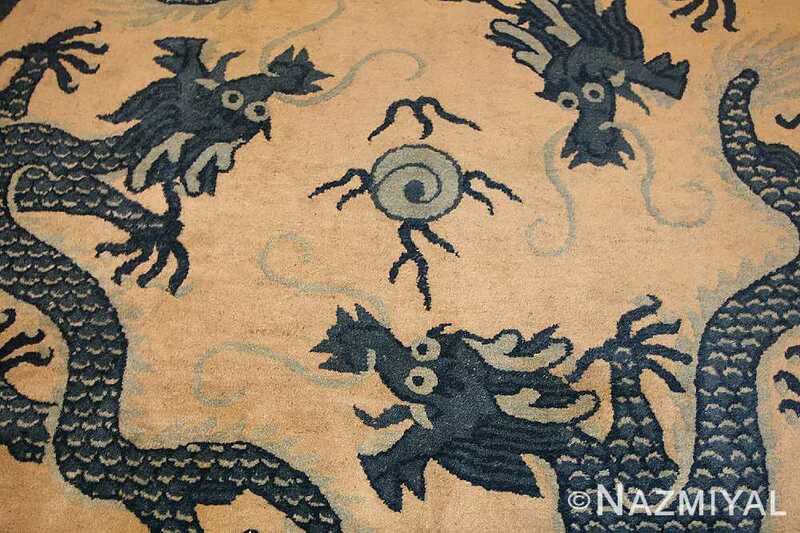 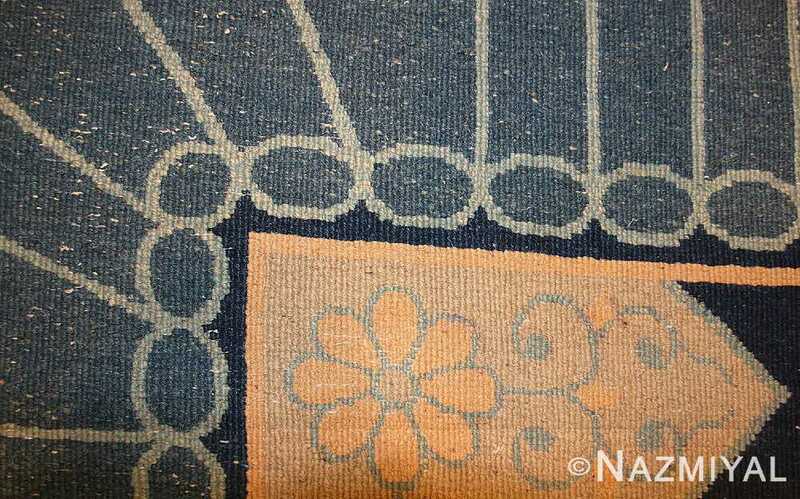 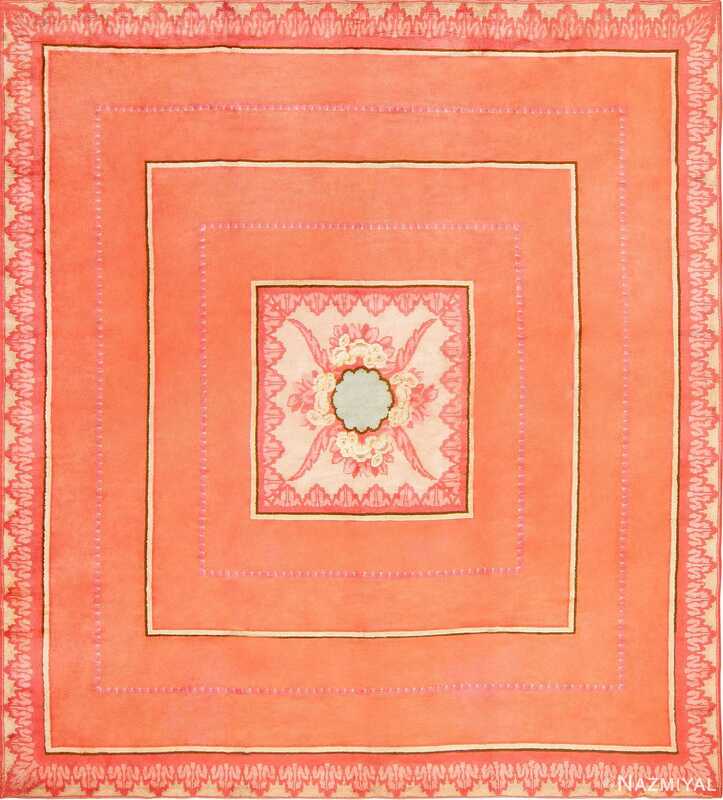 This antique dragon design Chinese Art deco design rug features exquisite orange golden dragons, symbols of luck and wealth, circle a pale gold medallion decorated with rich blue dragons. 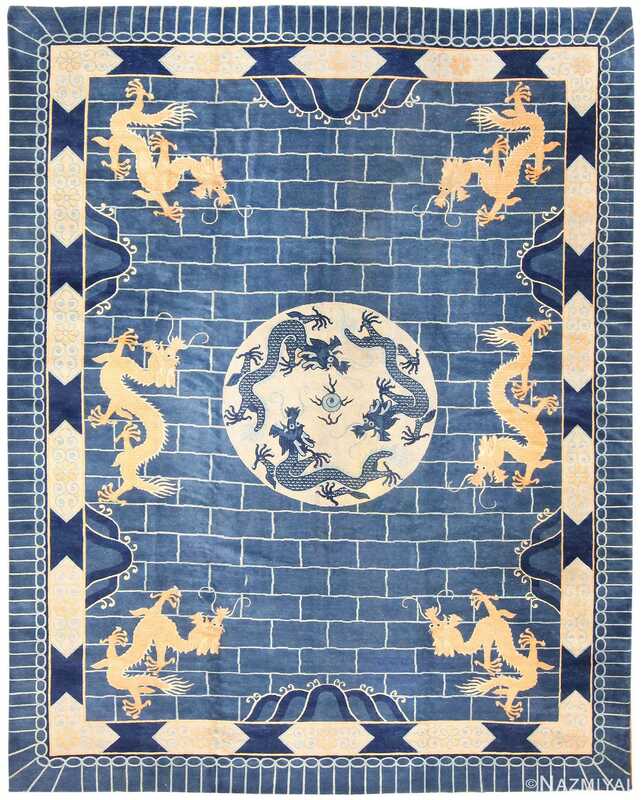 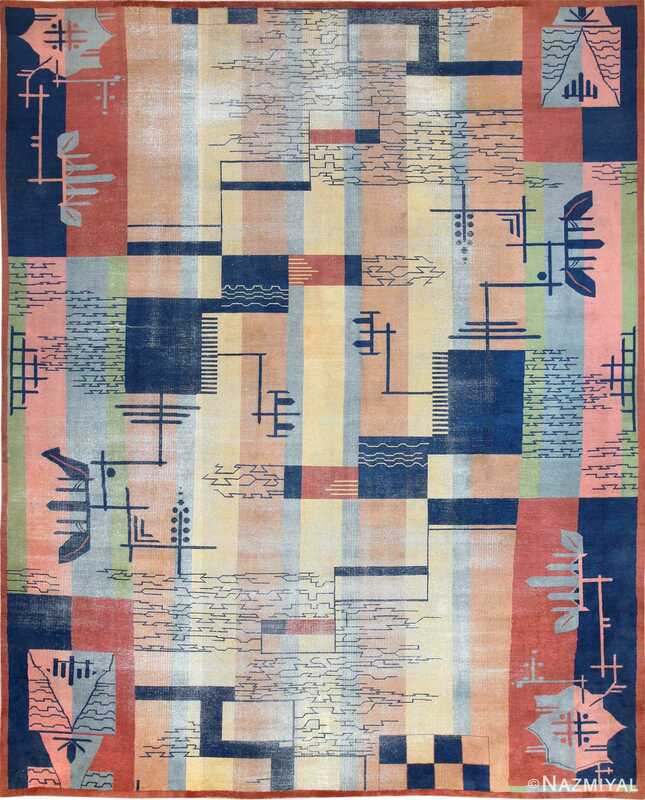 This bold juxtaposition of the modern and traditional in this antique dragon design Chinese art deco rug compose a striking and exotic artistic statement.